Up until now, Ridley has only appeared in the Smash Bros. series as a boss character. What did you have in mind when you were turning him into a playable fighter? Sakurai: How huge he is, for one. You can see him standing up straight for a moment in one of his taunts – compared to any of the more ordinary fighters he really is colossal. Ridley had to be big, that’s who he is; any smaller and he starts looking more like an imp. I turned to the NES and SNES games for inspiration as to how to implement him in a way that was feasible; using those games as a reference is what led to his current hunched-over appearance. He’s bigger when he stands upright, but his base appearance is based in the quadrilateral sprites of the NES. When you put him next to characters like Bowser and King K. Rool, he’s pure evil isn’t he? In terms of popularity Ridley was a hit overseas, but speaking frankly, he didn’t really click as much in Japan, did he? Sakurai: I think that if a villain actually looks like one, people overseas probably enjoy it more. There might also be people that think that if Ridley isn’t truly huge it just isn’t Ridley. How Ridley is as a character seems to reflect his popularity – or, rather – his appeal. In terms of actual height, he’s the biggest character, is he not? Sakurai: In terms of sheer volume, though, there isn’t much there. On the whole, Ridley being such a thin fighter actually proved to be a considerable nuisance. Things that had been intended to hit him weren’t actually hitting his damage box. There really isn’t a point around the middle of his character that you’re supposed to hit, so even though an attack would clearly be digging into him, it wouldn’t count as a hit… That kind of thing. It’s kind of like Fox’s blaster – things with thin hitboxes would just pass through. He was one of the most difficult fighters I had to make. So, Incineroar was taken from the newest Pokémon games. Sakurai: While I was having talks with The Pokémon Company, they had shared with me some of the development details for the upcoming Pokémon Sun & Moon games. Up until the very end it was between Decidueye and Incineroar – which one should I choose? I felt like I could do interesting things with either of them, but in the end, I went with Incineroar. What led you to the deciding between those two? Sakurai: They were both strong as characters – had it been Decidueye, I could’ve done a variety of things with projectiles and the like. There hasn’t been a fighter that fights like a pro-wrestler. Sakurai: Part of what they showed me had an image of a fire vortex coming out of Incineroar’s belt, but that didn’t really go with the pro-wrestling image, so I didn’t use it. I thought it would be more fun if the character revolved entirely around the wrestler concept. That being said, pro-wrestling can be completely different depending on the generation, right? I grew up in All Japan Pro-Wrestling and New Japan Pro-Wrestling’s heyday, when they were still being broadcast on Golden. As of today, though, it seems like there’s a lot of people that don’t really know much about pro-wrestling. I remember thinking “Seriously! ?” when Piranha Plant was first announced for Ultimate. 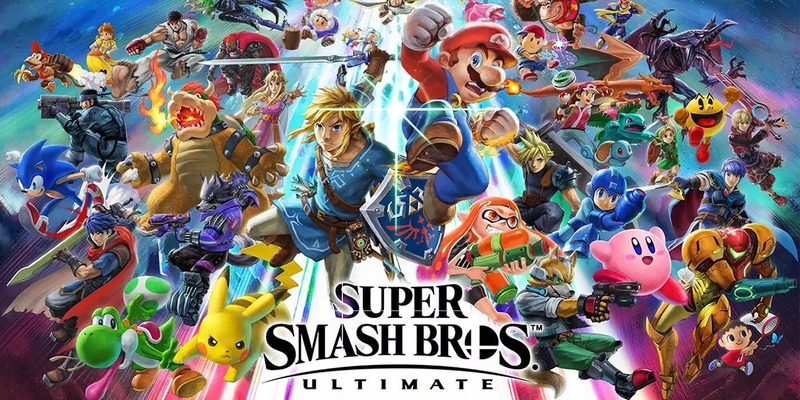 Sakurai: There really isn’t any unique appeal to a game where it’s just a lineup of heroes. Since it was a bonus character, my options were relatively open. In terms of the “marketable” characters, Piranha Plant is just one of them – there are plenty of others. If you spin it as a bonus character, though, there’s a lot you can do with it. Seeing the disconnect between Piranha Plant’s jump and dash moves and his appearance is pretty amusing. Sakurai: For instance, differentiating the sword users’ individual characteristics is quite difficult – them seeming similar isn’t unlikely. Protagonists sure do love their swords – you’d think using an axe from time to time would be okay, wouldn’t it? (laughs) Even excluding swords, if a character’s just using punches and kicks it doesn’t really illustrate their respective game’s individuality. Piranha Plant, on the other hand, has a whole host of skills that are unique to it. So, you’d say that a character’s variety of skills in their original work is a deciding factor as well. Sakurai: You’d think, but everybody seemed to have forgotten about it, right? That being said, even people who don’t play games know what a Piranha Plant is; it might even be more popular than a few of the other fighters in terms of recognition. It has a history, too. It might be that because everybody knows what it is it came as such a shock to people. When you think about it, it’s kind of the most influential among the new fighters. Sakurai: If the fighters had dressing rooms, it’d get the VIP treatment, wouldn’t it? (laughs) It’d have its own doorplate with its name on it and everything. Ganondorf Swings his Mighty Sword! There were also a significant number of changes among existing fighters movesets – one being that one of Ganondorf’s smash attacks involve him swinging a large sword. Sakurai: In terms of requests, there were a lot that entailed wanting Ganondorf to use a sword. I felt like renewing a few of the fighters was a good decision but changing them too much would have made them completely different characters. So, I opted to focus on the characters’ Smash Attacks instead. The Twilight Princess version of Ganondorf used a sword that didn’t feel quite right – a thin sword doesn’t give off the impression that a strong arm is swinging it, and you could see that a bit in his taunt. I felt like Ultimate was a good opportunity for Ganondorf to bring back the sword that Ganondorf had originally used. Changing Appearances – The Bright and Lively Princess Zelda! Zelda’s outfit in Ultimate comes from A Link to the Past, right? Sakurai: When I had learned everything about Breath of the Wild, there was something that was troubling me… When I was thinking about what to do with the Zelda from Smash Bros, I knew that the Zelda from Breath of the Wild wouldn’t do. At a basic level, the Zelda from Smash Bros is a warrior princess that fights using magic, and up until now, each Zelda character had been from the same series. This time, though, I decided on separating them. While Link’s design came from Breath of the Wild, and Ganondorf’s from Ocarina of Time – Zelda’s came from A Link to the Past. The image of her smiling from A Link to the Past is just fantastic. A Link Between Worlds included, I felt like her clothes and personality from those games suited her the best. Capturing her more lady-like atmosphere from the most recent game would’ve been difficult, so I decided on the brighter and livelier version of Zelda and adjusted her movement to suit that. The impression you get from her as a character has changed quite a bit. Sakurai: Completely, yes. The world of Twilight Princess was a dark one. It isn’t just her appearance that’s changed, though, how she herself functions has changed a lot as well. Pichu is in the game for the first time since Melee. At the time, people would say that “winning as Pichu was incredible” – that was where he stood. Sakurai: It doesn’t seem like that’s the case nowadays. Despite being a fighter with a handicap, he does have certain advantages over Pikachu, so I wouldn’t necessarily call him weak. Jigglypuff is the same way. I won’t say that all fights are fair, but I’m not sure if I can say that it’s a handicap if you’re playing as you would some odd years ago. I get the impression that Young Link is pretty similar to Toon Link, is there anything that you’re conscious of that you can point out that differentiates them as characters? Sakurai: There are a number of differences – but I think the best thing to do would be to find out by actually playing them. Depending on the person they might feel completely different, or less different than they had originally thought. Both characters are fighters that have already appeared in the series, so I didn’t make any significant changes from their previous versions. As far as Link is concerned their appearances differ greatly, but beyond that they aren’t so different from each other. It sounds like you made sure nothing felt out of place so as to keep the long-term fans in mind. Sakurai: Of course, but that wasn’t all necessarily; I changed what needed to be changed and put the characters’ own abilities at the core of that. I couldn’t damage the series’ “feel” that we’ve cultivated. For instance, if I said to myself “I’m going to make one of the jumps feel lighter,” even if it was working towards the total balance of the game there would still be people that it’d disappoint. Players that make the best use of each characters’ own skills will get better for sure.